When I left Durango in June, the world was on fire- literally. About 350 homes had burned in Colorado Spring's Waldo Canyon fire, and nearly as many in the High Park fire near Fort Collins. More areas were in flames close to home, forcing evacuations. As I boarded my flight to Denver, I watched the spiraling eddy of smoke rising from a new blaze near Lightner Creek. Here in northwest Greenland, I’m bearing witness to a different kind of extreme. The unprecedented warming of the Arctic is connected to the increase of the “disaster weather” we’re experiencing all over the country- and indeed the world. According to a recent NASA press release, about half of Greenland's surface ice sheet naturally melts during an average summer. But data from July 8-12th from three independent satellites, analyzed by NASA and university scientists, showed that in less than a week the amount of thawed ice sheet surface skyrocketed from 40 percent to 97 percent. Things exist in Greenland on a massive scale. Here, inland glacier ice makes its way to the sea. I happened to be kayaking in northwest Greenland near Melville Bay on those days - and it was, according to my guide and my own internal thermostat, unnaturally warm. This was during the same time that a large chunk of the Petermann Glacier calved and launched itself into the sea. “Twice the size of Manhattan,” I hear. There’s a lot at stake right now as we burn increasing amounts of fossil fuels and the planet heats up exponentially. A few days ago, I received a link to a recent article in Rolling Stone magazine by the 350.org founder Bill McKibben- "Global Warming's Terrrifying New Math: Three simple numbers that add up to global catastrophe- and make clear who the real enemy is." I devoured it in one sitting, hungry for news that matters and a perspective that pulls no punches. But don’t read it unless you’re prepared for an ultimate reality check. Here in the sublime beauty of Upernavik, all the trash from town gets burned. When I buy a plastic container of peanut butter at the Pilersuisok market, it’s destined – once empty - for the garbage pile behind my house where it will be incinerated along with everyone else's household waste- soda bottles, batteries, old appliances, everything. I understand that the heavy metals, benzene and dioxins from burning plastic will drift back to me in the air I breathe and that as I fill my lungs, the toxins will settle into the tissues of my body, accumulating. Instant cause and effect. A tidy transformation of matter into poison. There is a similar destination for human waste here. Whatever I leave in the heavy duty plastic bag that fits beneath the toilet fixture will end up in the sea. The plastic will be burned. Hundreds of yellow bags are incinerated every Monday, Wednesday, and Friday, just yards from where I now sit writing. I mention this not to single out Greenland (we all know the US is one of the heavyweights on the planetary pollution hit list) but to share how directly responsible I am for my own contaminated environment. So, do I buy peanut butter or not? Choices. Cause and effect. It may seem like the tiniest thing, but millions of seemingly inconsequential decisions made daily by the planet’s growing population of consumers is something to be reckoned with. Is it my job to not buy the peanut butter? Is it industry’s job to find alternatives to plastic, or is it the municipality’s job to find a different way of dealing with trash? 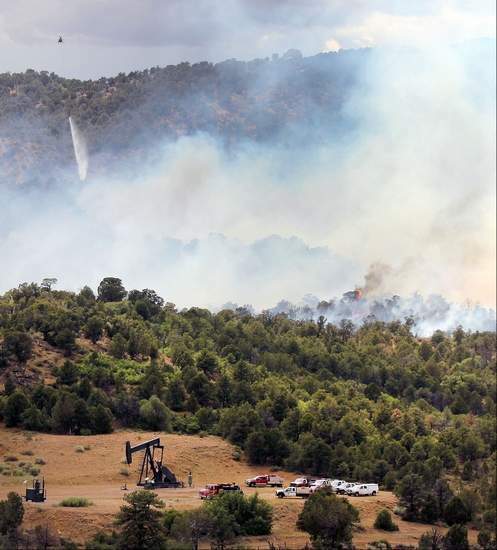 I think about the fracking and gas wells that number in the thousands at home in La Plata county, Colorado, where the earth is injected with a proprietary blend of over 200 chemicals. The industry bears, as yet, no responsibility to clean up their act. They are exempt from standard clean water regulations, so they can keep polluting. Much of the natural gas produced from hydraulic fracturing is used to make disposable plastics such as my peanut butter container from Pilersuisok. When I was sea kayaking earlier this month, I was thrilled to be in such a breathtakingly remote place (what I might, in my own personal parlance, call a last place). Most days I saw garbage, particularly plastic, either floating in the sea or washed up on shore where I camped. It’s everywhere. We are awash in the detritus of our contemporary throw-away society. More sobering are the numbers about PCBs (polychlorinated biphenyls) and mercury contamination right here in Greenland, and all over the Arctic. These industrial pollutants are carried to the Arctic from all over the world by prevailing winds and ocean currents, and they bioaccumulate, magnifying exponentially as they move up the food chain in animals and humans. Levels of these contaminants are so high in some Arctic populations that people’s bodies, by some classifications, would be considered hazardous waste. These are some of the most pervasive and potent toxins on the planet right now, along with the PBDEs (polybrominated diphenyl ethers) used in flame retardants for electronics like my laptop and the Teflon you just cooked your eggs in. Like PCBs and certain heavy metals, brominated flame retardants accumulate in the fat cells of animals and people. These are man-made chemicals which scramble our hormones, disarm our immune systems, and confuse the inner workings of our brains- and the Artic has become the planet’s dumping ground for them. I’ve begun to understand that nowhere on Earth has been left untouched by our trash in one form or another, and I’m not sure I believe any longer in my own personal salvation of a Last Place. It's beautiful here in Greenland by any standards. Beauty and ease are absolutely worthy, and I like sharing that part of my journey. But there’s more to me and more to the story. I mention all this because I’m concerned that we’re ignoring the signs of a crippled planetary life support system. We can’t continue to destroy the planet by leaving the refuse and wreckage of our lifestyle in our wake. Whether it’s contamination from heavy metals and chemical toxins from industry, coal-burning, and incineration, or the discarding of plastic packaging on land and at sea, or the dumping of millions of tons of carbon in the air every year, we’re in trouble. We’ve reached a major tipping point. My project here in Greenland is small and personal. I want to investigate what I believe are the earth’s last strongholds where ecosystems are still intact- though now I realize I should say IF, if they are intact. I came to the Arctic because I want to see for myself what’s going on, and to document this place with the skills I have been granted in this life as an artist. It may amount to nothing on the grand scale of things, but a good dose of intimate engagement and fierce passion is what will make the difference in whether we humans continue to inhabit this planet. Or not. The choice belongs to all of us. This is fierce and beautiful and heart-wrenching. Your writing is exquisite. Thank you for sharing your passion here.